This is it – The Complete Management Development Solution that you have been seeking. Re-filmed and updated "MAP2” is a highly regarded, objective, video based assessment of 12 fundamental managerial competencies that is linked to a targeted training program in “Managing to Excel2”. With MAP2-Excel2 you’ll measurably improve performance and save training dollars at the same time. Overview: The Managerial Assessment of Proficiency (MAP2) is the premier assessment of managerial competence in the marketplace. MAP is a video driven, competency based assessment that provides participants an objective rating of proficiency in 12 fundamental managerial competencies and important information on 10 styles and values. In 11 video episodes, Bill Taylor and his team of four supervisors exhibit a range of managerial competencies as they simulate what happens during a typical workweek. Participants can see parallels from their own experience base as they evaluate the actions of Taylor and his coworkers. 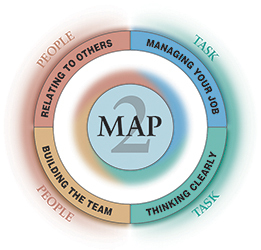 MAP2 is a proven tool for pinpointing and charting managerial strengths and weaknesses as compared to norms developed from the 100,000 managers and supervisors who have taken MAP2. With MAP2 you can objectively identify the area of greatest developmental need. Targeted training workshops are available for each MAP2 competency with our Managing to Excel program. MAP2 provides superior buy-in by all company stakeholders, so that you can rest assured that all your managers have attained basic competency skill levels. Trainer’s buy-in because objective MAP2 data provides objective information on competence based on correct and incorrect responses.. The 12 competencies assessed in MAP2 are directly linked to training workshops, each focused on a single competency.